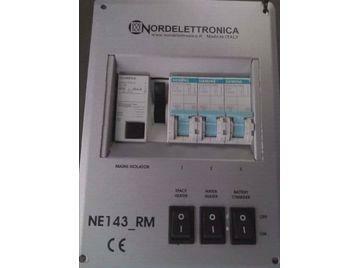 Nordelettronica NE143 RM and Nordelettronica NE143 DU for sale at £130 each with 2 year, 2 stage warranty. We are A & N Caravan Services and specialise in the repair and Sales of Caravan and Motorhome Battery Charger and Power distribution units like the Nordelettronica, Schaudt Elektroblock, Reich E-Box units and Calira. We are one of the UK's largest repairer and reseller of New and remanufactured Caravan and Motorhome Charger/PDU systems for the above four makes. Our stock includes remanufactured Nordelettronica NE143 RM, Nordelettronica NE143 DU and NWS 2000. We can repair your unit or upgrade it with more robust internals that are lighter, more powerful, with an integral fan for cooler running and greater reliability. Repairs at £110 upgrades at £130.